Growing up in a large family had many benefits. You never think you are alone and no one loves you. There is always someone who is ready to help and support you anytime you need it. I remember when I was a kid, the best part of our house I really like is the kitchen. Whenever my mother cooked something for us, I always feel amazed and feel great just looking at her when she cooked our food. I love to cook with my mother and make different foods. I feel there is a bonding between us. We also love Lasagna and Garlic Bread. Then share it with my siblings. Sprinkle in salt, chili powder, cayenne, cumin, and coriander. In the same pan, saute onions, bell peppers, garlic, tomatoes, chili, and oregano. Preheat oven to 350F. Oil a 10” deep round baking pan. 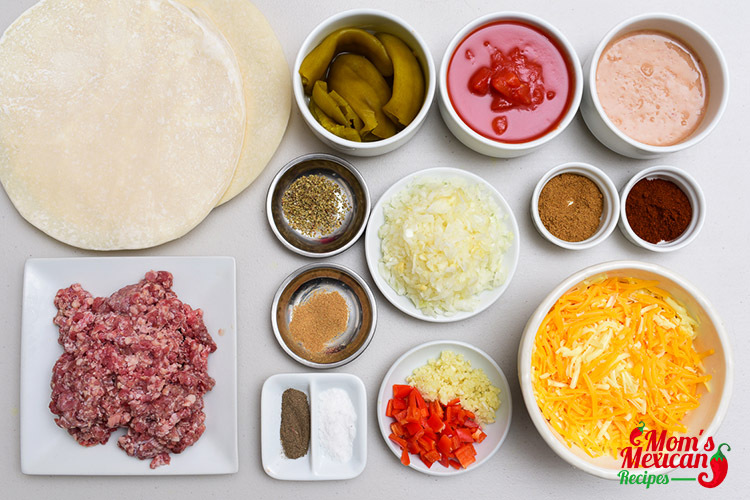 Layer the tortillas, beans, meat, cheese, and sauce. Being a mother of two grown-ups now, I still love cooking and making different food from different cultures. 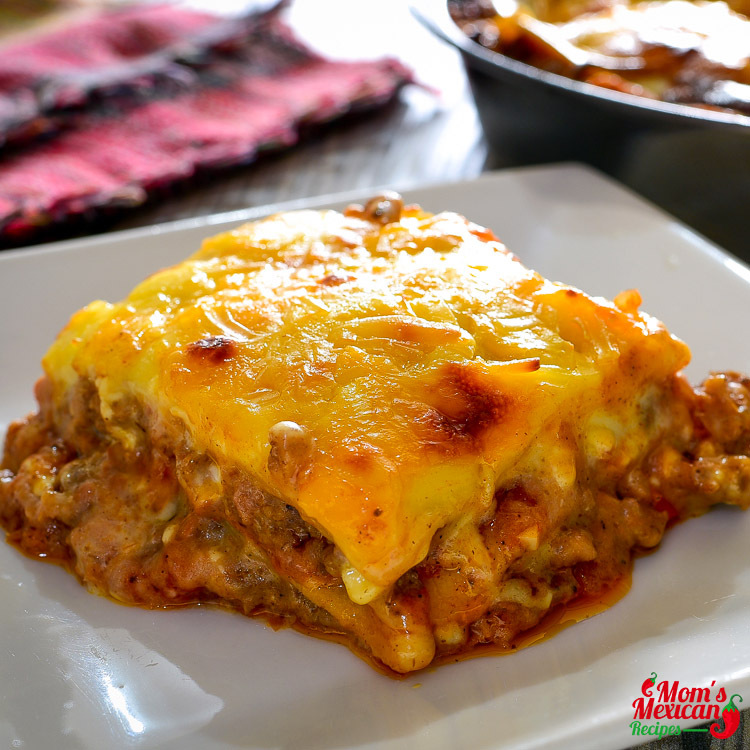 My kids love Lasagna too, either Italian or Mexican Lasagna. And for today, they ask me to cook Mexican Lasagna, well, they ask me in their sweet and nice way with hug and kisses. Lasagna or “Lasagne” is a type of pasta and it is originated in Italy during the Middle age. It is derived from the Greek word “Laganon”, the first known form of Pasta. 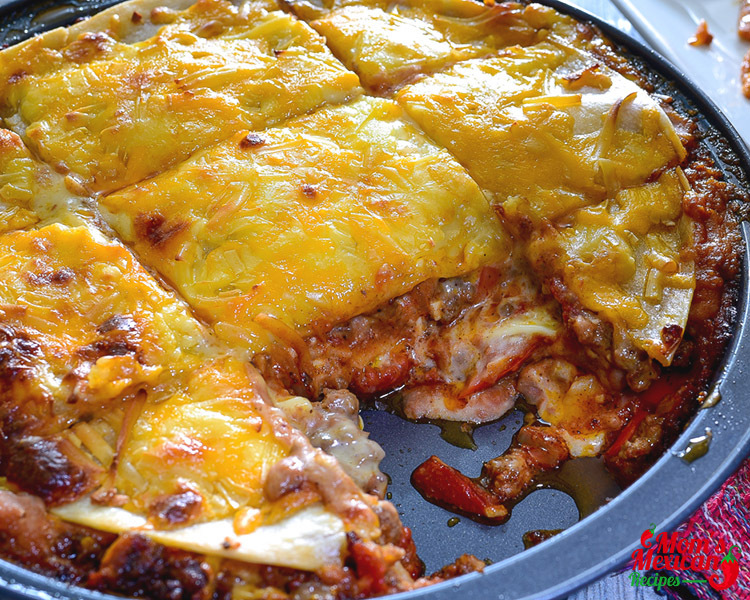 It is used to describe flat dough sliced into strips and is to believe to be the origin of the word lasagna. 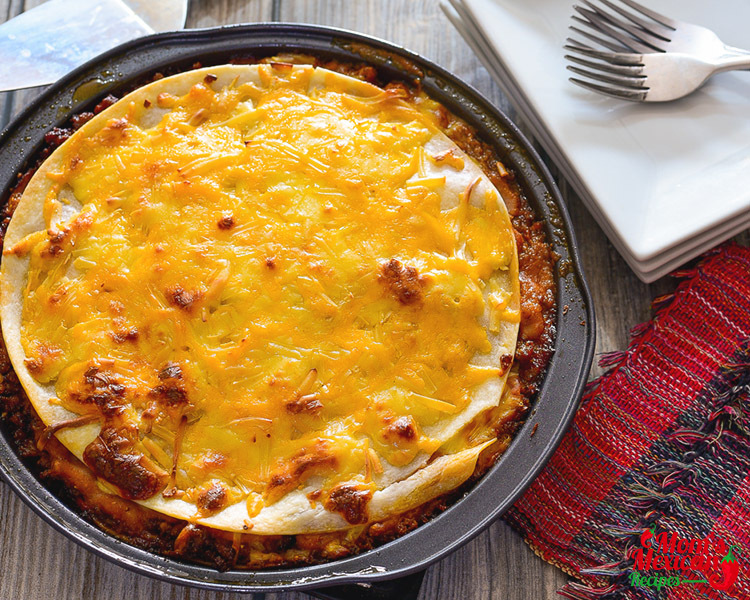 The Mexican Lasagna Recipe is a dish made with several layers of lasagna sheets with sauce and other ingredients. Everyone love Pasta and everyone has a favorite Recipe for Lasagna. It is a popular oven-baked pasta dish. One of the ultimate one-pot meals. 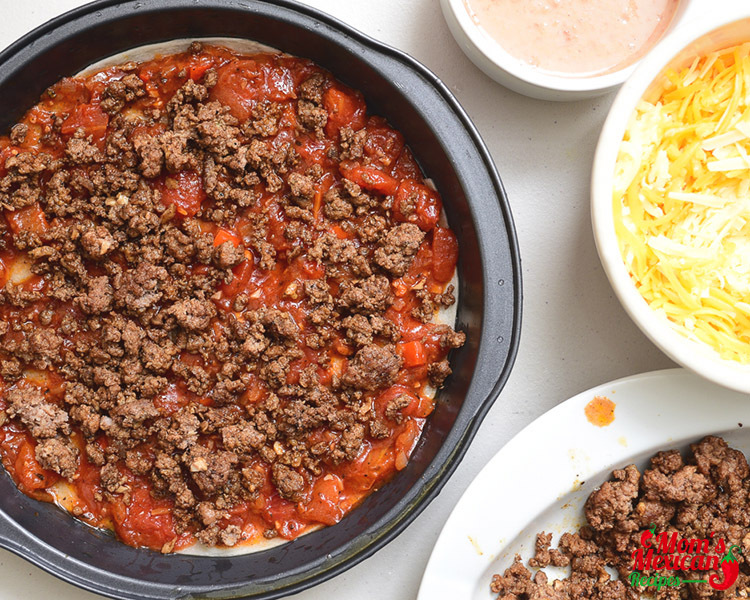 When assembling a lasagna, start with the main ingredients, a ground beef or turkey cooked with onion, bell peppers, garlic, tomatoes, chiles, and oregano. 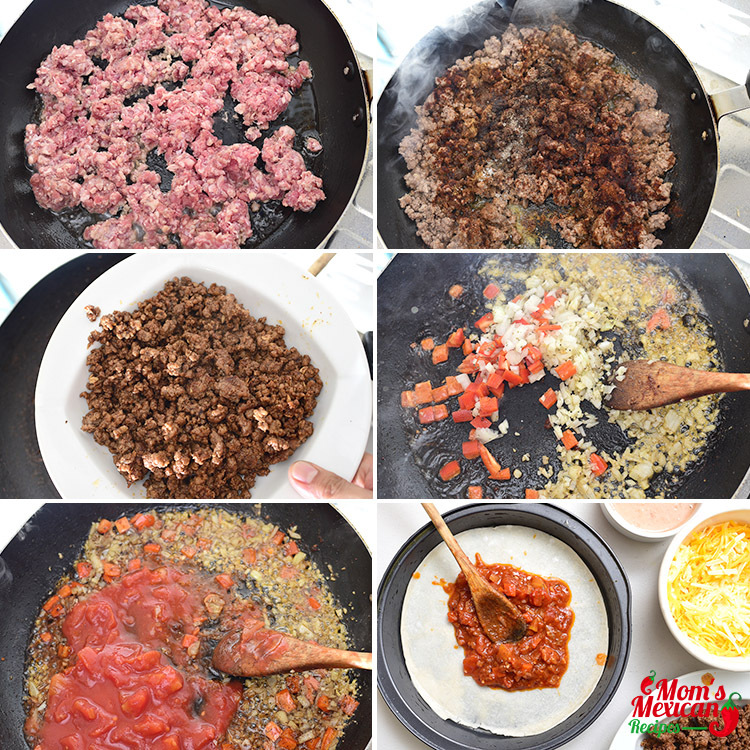 Adding a layer of tomato sauce, then add one layer of lasagna pasta sheet and then the main ingredients again. This will continue until the oven dish is full. 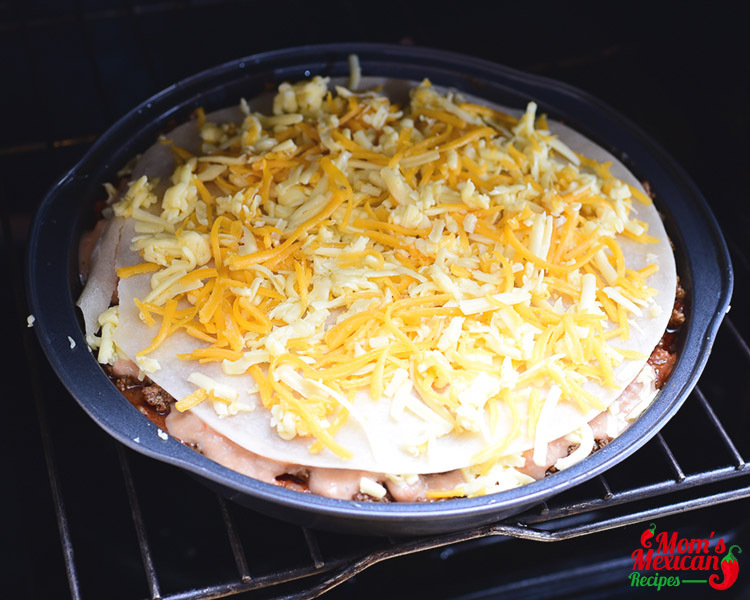 End with a layer of pasta spread some tomato sauce and sprinkle the cheese over it. Enjoy!